Two 30 pound ABC fire extinguishers. Fully enclosed heated shower compartment. Four to six overhead showers. Four to six midsection showers. 600 gallons of potable water. 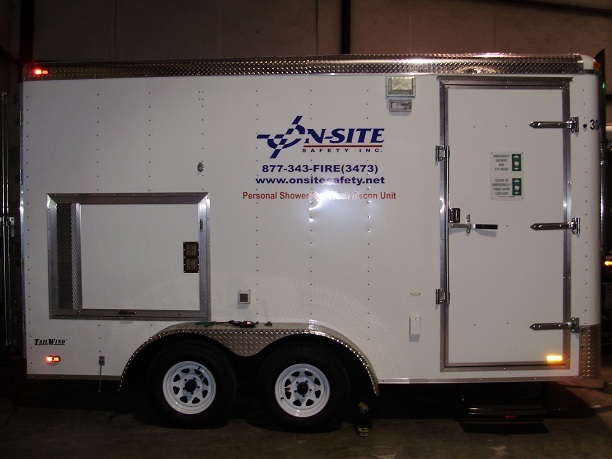 Looking For An All In One Fire and Shower Truck Unit? 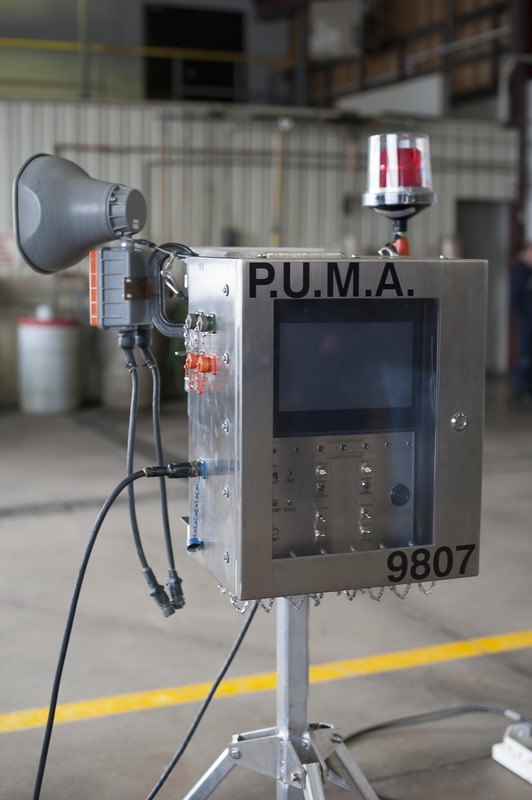 Due to the volatility and corrosive characteristics of many fluids being pumped in the oil patch today, On-Site Safety has built combination units which are fully equipped for the safety of all personnel on location. 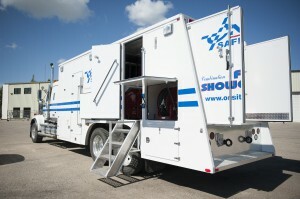 These units are a combination of a complete fire truck and shower unit. The firefighting equipment and shower facilities are two separate compartments and the shower facilities contain a first aid recovery station. It should be noted that the shower unit water is not used for firefighting. 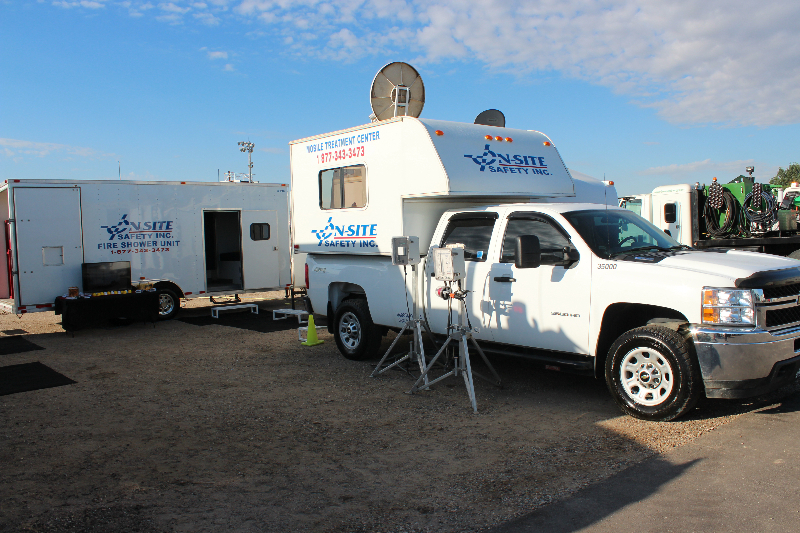 For detailed information specifically pertaining to our fire trucks or shower units, please click on one of the following links: Fire Truck Specifics or Shower Truck Specifics.